Shop BIG! Save BIG! Check out PUMA Big Big SALE happening on May 14-20, 2018 at TriNoma Activity Center. 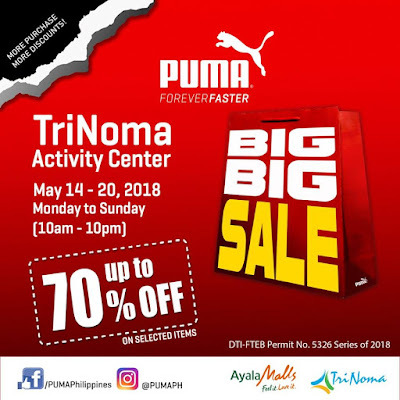 Choose from wide variety of discounted PUMA shoes, apparels & accessories, and enjoy up to 70% off.